It all started with an ad at the beginning of the summer in 2009. Mr. Vladimír from Slovakia noticed it in Avízo, an advertisement newspaper. It was not very detailed, but it promised a decent salary for work in the Czech Republic. Due to the economic crisis, Mr. Vladimír had been dismissed from the car plant Škoda Mladá Boleslav and very few jobs were available. He did not give it much thought and called the mobile phone number given in the ad. Jindřich Martinák, introducing himself as the head of the company, answered the phone and explained to Mr. Vladimír that they offered work in the forests. Accommodation and meals were to be provided, travel expenses reimbursed, and it should pay around fifteen thousand Czech crowns per month. It sounded good. Mr. Vladimír, in his forties, did not hesitate long and one day in July he arrived at the office in Prague. Everything went smoothly. 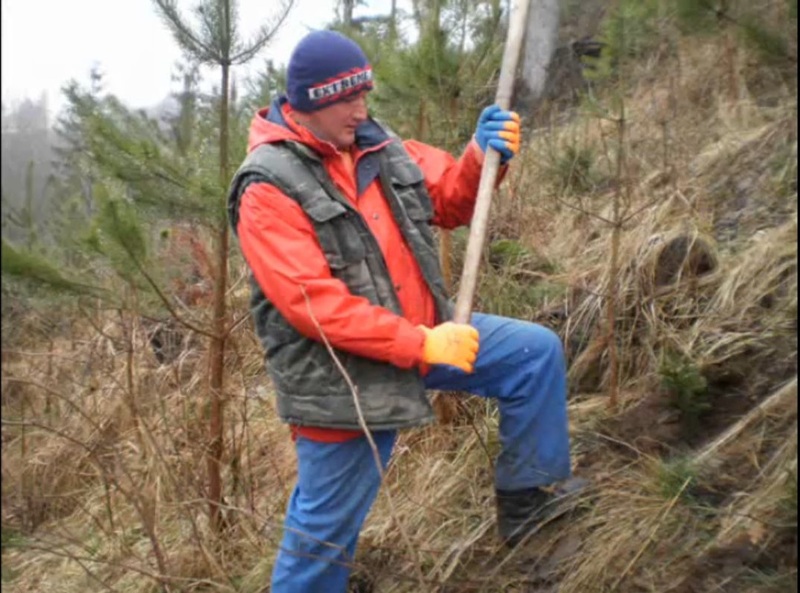 He signed the labour contract, and the next day he found himself, together with other Slovak workers, in the township of Rataje nad Sázavou, thinning trees in the forest. Soon, though, he figured out that reality was quite different from what he was promised. The company he began working for is Affumicata a.s. In 2009, Vladimír was one of its six hundred "employees". They came mainly from Vietnam, Slovakia and Mongolia. They worked on assignments originally given to the Less & Forest a.s., which had won many tenders announced by the Lesy České republiky, s.p., the State Forests of the Czech Republic. Collected evidence indicates that most of these workers have not received pay; similarly, owners of the workers' dormitories, often did not receive any reimbursement. Vladimír and his colleagues did hard work for ten hours a day, in the heat. They worked every day, the exception being only when it rained heavily. They could stay in a dormitory, but received no food. After fourteen days, they were reimbursed for transportation, and then they received two small deposits of two hundred and five hundred Czech crowns (about 8 euro and 20 euro, respectively). After about a month they received one thousand crowns. They were starving, too. "In front of the Tesco supermarket, there were apples in the rubbish bins. We selected the better ones from them. In the village, we asked people if they needed to have anything mown, sometimes they gave us even one hundred fifty crowns for these odd jobs," says Vladimír. Meanwhile, under threats, they were forced to change their labour contracts from regular employment contracts to more precarious ‘agreements to complete a job’. After a month and a half, the workers found out that accommodation had not been paid for. The owner of the dormitory wanted to throw all of them out immediately. The workers called the head of the company, Mr. Martinák. On that same afternoon, they embarked in a van and Mr. Martinák drove them close to the town of Tábor. On the way he gave each of them one thousand crowns and that was it. 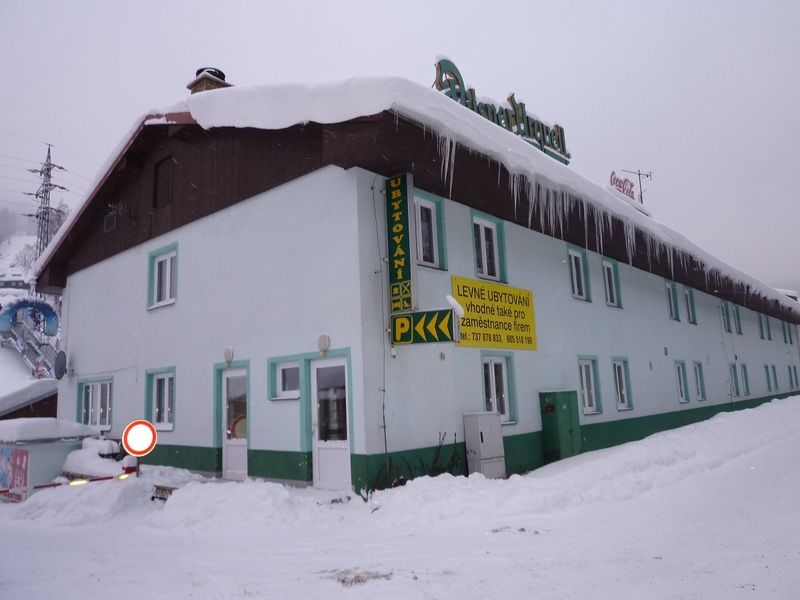 Vladimír had worked there for a week, and then they took him to Šternberk. After two months, desperate and penniless, he went to Říčany in the vicinity of Prague. From other Slovaks he learned that Jindřich Martinák had his office there. Vladimír decided to sleep in the doorway of the company. He had nothing to lose. Money for his journey home was the least he needed. Martinák appeared within ten minutes and called the police. Vladimír tried to explain to the police that he had not received his pay. They told him that, unfortunately, they could not do anything about it, and left. Martinák finally gave him two thousand crowns and had him sign a document acknowledging that he received six thousand and a half crowns. After four months' work in the Czech Republic, Vladimír, apart from a huge sense of humiliation, had just a little more than necessary to buy a train ticket. In 2010, Affumicata reduced activities and changed owners. The original owners, however, did not leave the forestry business; they continued to exploit workers in a similar fashion. They have founded new companies, such as Madera servicio and Wood Servis Praha. Still reaping rewards from government contracts won by the Less & Forest a.s., they were subcontracted to do work in the Krkonoše National Park (KRNAP). The only difference was that they stopped hiring Vietnamese workers, reduced the number of Slovak, and began to recruit more Romanian workers. They plan on continuing operating this year and it looks like they might succeed in doing so. And all this is despite the fact that their activities are known at least to individual Less & Forest a.s.’s employees as well as to state authorities. It is not a coincidence that this business is about work in the forests. In the tenders announced by the State Forests of the Czech Republic and other public bodies in forestry, the main criterion is price. Especially financially strong companies that outcompete smaller companies win contracts. Forest giants, on top of that, further reduce costs in order to achieve greater profits. The most common solution is to save on staff. For manual work in the forests, however, thousands of people are needed each year. Therefore, big tender-winning companies hire them through subcontractors such as Affumicata. Through the multiple levels of contractors and subcontractors, only a small portion of the allocated money gets through to the people who actually work in the forest. It has become more frequent that migrant workers take the poorly paid and deregulated jobs. Affumicata probably started its cooperation with the Less & Forest a.s. about three years ago. However, more about this company became known during 2009, when Vladimír had worked for it as well. In addition to the recruitment of Slovak workers, company representatives focused on the Vietnamese community. They had already had their "unique" experience with people from Vietnam. Jindřich Martinák and a former officer of criminal police, David Mrkos, are the ones who most frequently act as the owners or managers of Affumicata. In 2008, both of them participated in a Vietnamese venture with the company Gurama Property s.r.o., during which nearly two thousand people had lost more than a million dollars and their passports (see the separate section below - "Vietnamese venture in a nutshell"). David Mrkos is also one of the co-owners of the Brenn Company, which provides health insurance to foreigners living in the Czech Republic. As he said in an interview he gave to the editors of the Nový prostor: "I knew the community pretty well." Focusing on the Vietnamese in the Czech Republic, however, made sense for Martinák and Mrkos for another reason. With Affumicata’s business strategy, it needed to have a constant supply of new workers, willing to work even for a relatively short period of time. At the turn of 2008 and 2009, Vietnamese workers faced mass dismissals from Czech factories due to the onset of the economic crisis, and they were happy for any work opportunity. Martinák and Mrkos were aware of this: "We knew that in 2009, when the economic crisis eventually hit our country, there were literally hundreds or thousands of unemployed Vietnamese with business visas who were not sought after in our labour market," says David Mrkos. In mid March 2009 in the Dong Do restaurant in Sapa, a well-known Prague Vietnamese market, two huge recruitment events took place. Organised by the Affumicata Company, each was attended by about two hundred people. Working for this company was presented as a retraining course endorsed by the Czech authorities at the end of which participants would receive a certificate. This certificate would enable them to work in forests as independent professionals in the future. In addition to that, the monthly wages were announced to be from ten to fifteen thousand crowns. Those who could interpret or drive a car were promised an additional bonus. On top of all that, these recruitment events were attended by the local Vietnamese television. In the presence of the Vietnamese embassy representatives, the TV filmed interviews with several participants, who thanked the Affumicata Company and the Czech state for helping the Vietnamese in times of crisis. "It was truly touching," says Mr. H., who, like most people who came to the Dong Do restaurant in those days, took work with Affumicata. A most remarkable "retraining course"
As the very first thing, though, Mr. H.– as well as anyone else who wanted to join the Affumicata retraining course – had to pay fifteen hundred crowns for a medical examination (which was not held), the purchase of tools and equipment, and the processing of paperwork. Only then came the signing of the training contract. In a week, he started planting trees around the North-Bohemian city of Děčín, alongside the other "freshmen". He could bear it for two months. He worked under similar circumstances as Mr. Vladimír: exhausting and unpaid work, unpaid for accommodation, and above all, constant hunger. They brought them food only after repeated demands and on average only once a week. "We had to call Mr. Ngai or Mr. Son /Vietnamese coordinators of the whole enterprise, editorial note/ to save us. Sometimes they brought a fish, sometimes a hen, sometimes rice and noodle soups, but it was not enough," says Mr. H.
Apart from the Děčín Region, Posázaví, Tábor and Šternberk, in 2009, Affumicata was providing people for Less & Forest also in the Kutná Hora Region and in the woods around Ústí nad Labem, Mělník, Klášterec nad Ohří, Olomouc and Český Krumlov. From all these places evidence has emerged that resembles the story of Mr. Vladimír and Mr. H. so closely, it is as if it were a carbon copy. Throughout 2009, about six hundred people are estimated to have worked for Martinák and Mrkos. There is no way, however, of verifying the real figures. Among the "employees" of Affumicata there was a huge labour turnover. Some of the people could not put up with the job, or the so-called retraining, for months; they could not bear it even for weeks and days. When they found out the conditions under which they were supposed to work, sooner or later they usually left. The employees of Less & Forest who carried out on-site inspections and took over individual work did not find the "disappearing" of workers in any way special. They say they blame it on the chaos in the State Forests of the Czech Republic that is palpable particularly in the early season (April to the end of June). New trees are being planted and virtually every hand is needed. "It is common that they call us from the central office that they have a company offering about thirty people, and ask whether I need someone. Well, I usually need people. It is hard work, when there comes a bunch of Ukrainians, only about a half of them stay for longer than a week, so I take anyone," said one of them anonymously. Nevertheless, with Affumicata it allegedly happened rather often that instead of the agreed upon five people some twenty persons appeared, or instead of thirty workers only seven arrived. In the busy period, though, it just had to be managed somehow. Difficulties were no secret. The owners of the dormitories (whose bills Affumicata had not covered) often informally contacted the companies that won the contracts directly and pressured them to repay at least a part of the debts for accommodation. In doing so, they also mentioned the people hired by Affumicata. "We knew that the Vietnamese were working on some type of a student's contract and that they had to pay for the work. They were quite scared and from time to time some of them just disappeared," said the caretaker of the municipal dormitory in Libouchec near Děčín. The owner of the Less holding, Jan Mičánek, said he had no clue about the activities of these subcontractors and denied any liability by saying that his company had certainly paid for the work performed. "Very often, we do not know anything about this and cannot be expected to do so. We sell boards to someone, out of which he makes tables and does not pay his employees. How are we to know this? Such things happen, but they are becoming less and less common," was his reaction to the information about the exploitation of foreigners working on contracts for his company. The fact is that in the last year, through the companies Madera servicio and Wood Servis Praha, Jindřich Martinák and David Mrkos were awarded another contract with Less & Forest regarding the delivery of people and labour. 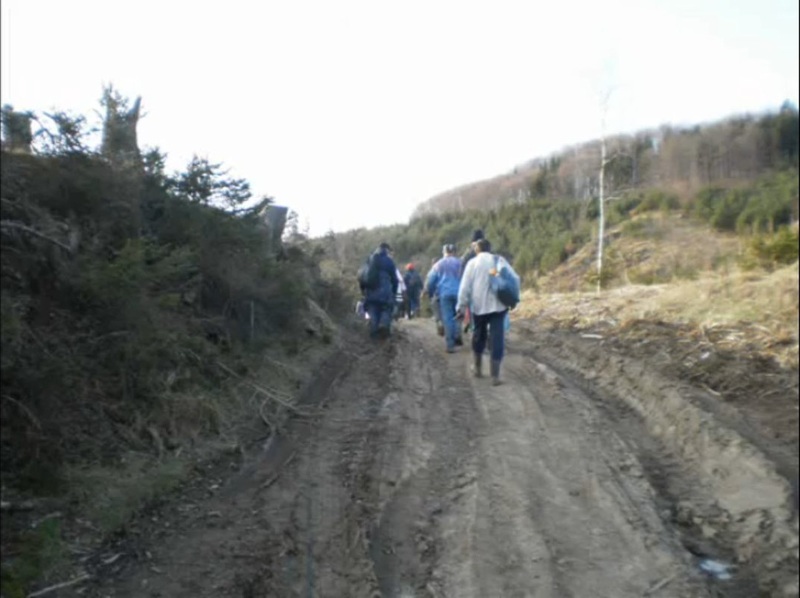 This time, as well, the work took place in the North-Bohemian Krkonoše National Park. Less & Forest and an associated holding company, KHL-EKO, won a number of sub-contracts for a four-year project on the stabilization of forest ecosystems in the Krkonoše National Park, paid for by the European Union and worth more than 80 million crowns (or 3,3 million Euros). The Less & Forest Company contracted Mrkos' Madera servicio for the supply of workers. Mrkos, in turn, made a contract with Wood Servis Praha, where Martinák was acting director. According to the information provided by Less & Forest employees, Martinák and Mrkos had secured people and labour covering seventy to eighty percent of the whole contract for 2010. In the Krkonoše National Park, however, most workers were not Vietnamese, but Slovaks and in particular Romanians. The people from Vietnam, in the end, were reported to have given Affumicata problems the year before. "They are the so-called third country nationals. Even though we employed them as retraining course participants, there were still plenty of administrative barriers. They did not have work permits and so on," says David Mrkos. He alludes to the fact that currently the authorities in the Czech Republic almost stopped issuing labour permits to non-EU citizens. Foreigners from third countries are under more scrutiny by Labour Office inspectors and the Foreign Police – notwithstanding the fact that these primarily focus on document controls. Because of employing people from Vietnam under student contracts, Affumicata faces sanctions, for example, from the Děčín Labour Office. Martinák and Mrkos therefore launched cooperation with Marta Pavelová, the owner of a company called PBM Union Jobs, registered since September 2009 in Romania. Ms. Pavelová's responsibility was to gather people and bring them to the Czech Republic. Some of them were apparently told they were going to work in Spain. The commission fee they paid ranged from one hundred to three hundred Euros. The KRNAP management, according to Václav Jansa, the Head of the Nature Conservation Department, lived in the belief that all foreigners working in their forests were hired directly by Less & Forest. They allegedly had no idea about the existence of middlemen. From summer to autumn 2010, about two hundred people showed up for work in KRNAP. What awaited them were the same labour turnover and similar working conditions that their predecessors had experienced with Affumicata. Human Trafficking "Made in Czechia"
"If someone did not fit, he /Martinák – editorial note/ would leave this person abandoned in the dormitory. He would call the landlord that the company was not paying anymore for certain people and those people were to be thrown out. And when they would not leave, the police would come and throw them out," this is the account one Slovak worker gives of his experiences from the Krnap. The companies Madera servicio as well as Wood Servis Praha left behind unpaid wages and a debt of nearly one million crowns for the accommodation of workers in Herlíkovice and Pomezní boudy. The forestry work continued until early November 2010, although it was not actually supposed to. In January of the last year, Mr. H., who needed help with a visa extension, showed up in the advisory centre of a nonprofit organisation called Klub Hanoi. Among other things, he mentioned the recruitment events in Sapa, the Affumicata Company, and the nonpayment of wages. Matouš Jíra, the lawyer of the Klub Hanoi, in cooperation with volunteers and other organisations, began to gather evidence on the employment practices in Czech forests. According to Prague-based La Strada, an organisation against human trafficking, it is the biggest case of human trafficking it has seen in the last fifteen years. 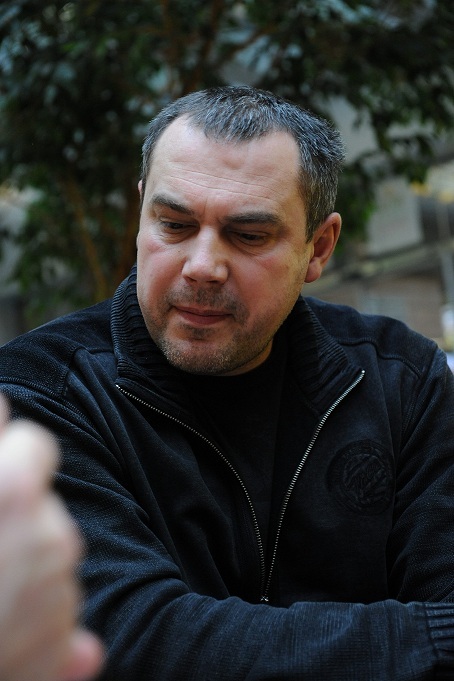 Matouš Jíra, therefore, took up informal contacts with the police and other authorities. The case has even attracted the attention of the Organisation for Security and Co-operation in Europe (OSCE). According to OSCE, the case complies with the definition of human trafficking, as understood by the European law. However, no action has been taken because of the indifference of the Czech authorities. In June, the lawyer – Mr. Jíra – officially informed about the case at a meeting of the Interdepartmental Working Group for Countering Trafficking in Human Beings; this meeting was attended by representatives of several government departments and the police. "Each individual department, though, had the feeling that it was up to the others to act. Nobody gave impetus to investigate the affair," says Jíra and adds: "The fact that there are hundreds of exploited workers staying in this country has been known to the authorities for at least a year. The suspects had most probably taken advantage of the misfortunes of the migrants and subsequently profited from that. However, no one has taken any actions so far." In July, therefore, together with two other lawyers and on behalf of Mr. H. and others, Mr. Jíra brought criminal action against Jindřich Martinák and David Mrkos. Among other things, the accusation included the crime of human trafficking. According to the Prague police spokeswoman Eva Miklíková, it has not been proven yet that the "cause meets the definition of any of the offenses". The police thus cannot intervene against the businesses Martinák and Mrkos are running. According to unofficial information, Less & Forest a.s. counts on cooperation with Madera servicio for the Krnap contract at least in the 2011. David Mrkos, who dismisses all charges, is happy with the fact that there are already people in Romania interested in working for their company. For Nguen Minh Tao, all the bad luck has started in March 2008. In Prague, he met Jindřich Martinák, the director of Gurama Property Ltd, through friends. The company had been in operation for less than six months and not longer than a month since its establishment, it had received an authorization by the Ministry of Labour and Social Affairs to facilitate the employment of foreigners. Martinák told Tao that he needed to bring in a large number of Vietnamese people to work in the Czech Republic. At that time, hundreds of foreign workers were coming from Vietnam each month and Tao had good contacts. One thing led to another and they arranged another meeting right in Hanoi. About a month later they met in a four-star hotel. At the meeting there were also the lawyers Marta Macháčková and Alois Mikulášek, whom Minh Tao knew from elsewhere. Tao learned that both of them also came from Gurama Property. He considered both lawyers to be trustworthy people and began to trust Jindřich Martinák as well. Mr. Tao introduced the entire delegation, which appeared to act under the endorsement of the Czech government (in autumn 2008, Gurama should have taken part in an official delegation to Vietnam under the leadership of the then vice chairperson of the Czech Parliament, Vojtěch Filip, the contact to Filip was established through General Miroslav Vacek), to the companies he cooperated with. He showed them a few schools where Vietnamese welders were being trained for work in Czech factories. Martinák was reportedly impressed and very quickly agreed on cooperation with Minh Tao. Tao's task in Vietnam was to recruit several thousand people and to arrange their training which included teaching the Czech language. Martinák, for a commission fee of one thousand dollars per person, was supposed to arrange all the necessary documents including labour permits and Czech visas. They agreed that Martinák would get a certain payment in advance and the rest he would receive after providing the documents. Work was to be ensured through a non-existent (as discovered by Mr. Minh Tao only too late) programme of the Czech government to mediate jobs. Martinák also flaunted fake labour permits for more than four thousand foreign workers bearing the stamp of the Labour Office Prague – East. The business was immediately kick-started. To begin with, Minh Tao was supposed to get qualified masons and construction and metal workers, welders, and workers for car plants. Gurama Property representatives also demanded nurses and Mr. Tao arranged a visit to a medical faculty in the county of Hai Duong, which also offered assistance in obtaining medical equipment. During subsequent visits, Minh Tao showed Martinák local vocational schools. Martinák expressed the intention of founding such a school himself, so they were looking for a suitable site. During all the stays in Vietnam, the representatives of Gurama Property were living in better-quality hotels in Hanoi at the expenses of local businessmen who believed that thousands of Vietnamese would find jobs in the Czech Republic. At six meetings in Hanoi between April 15th and July 5th 2008, Minh Tao gave Jindřich Martinák the total of 1,147,000 U.S. dollars as advanced payment for arranging the documents, and Mr. Martinák took from him 1,807 valid Vietnamese passports. For each money transfer, a witness was present and mediation contracts were signed. In the meantime, Minh Tao started having some concerns, because the arrangement of documents was taking unexpectedly long. Just in case, he started recording all the coming meetings. In July, at a meeting in Prague, Martinák and Macháčková presented him with photocopies of visas for the first seventy three people (these visas had never existed) and explained to him that they had been working most intensely on "welcoming" Vietnamese workers to this country. Later in that very same month, Martinák with other partners flew to Hanoi once again. He brought three suitcases of clothing with printed logos of Gurama Property and a special construction bag with equipment for a vocational school to train for work with plasterboards. Once again, schools were being visited and Martinák even had a meeting with the Vietnamese deputy of the Minister of Labour. Minh Tao and his Vietnamese colleagues calmed down and started ordering flight tickets as well as black work overalls featuring a bright sign Gurama Property, in line with the model Martinák had brought. The documents, however, were nowhere to be seen. On urgent demands, Martinák assured them that the documents would be at their disposal on time. On 16 August 2008 Martinák's partners, among whom were Ms. Macháčková and David Mrkos, arrived to Hanoi. Again, they visited the Vietnamese Ministry of Labour and all were reaffirmed that the documents were being processed. In between, Minh Tao had to pay cancellation fees to Russian and Korean airlines for cancelled flights and he had to pay a fine to the company sewing the work overalls. On 12 September 2008, the last meeting of Tao with Martinák for quite some time took place. He met with him and Macháčková in Prague and they told him gleefully that the visas were ready and could be collected at the beginning of the coming week at nine o'clock in the morning. However, after that, both of them avoided him. In April 2009, Mr. Nguyen Minh Tao, represented by his attorney Josef Lžičař, filed a complaint against Gurama Property and Jindřich Martinák for fraud. The police were given all the contacts, contracts, and recordings. Individual witnesses from Vietnam declared their willingness to come and testify. Jindřich Martinák, once more, contacted Minh Tao through lawyers and proposed a settlement agreement. He wanted to pay nearly two-thirds of the more than one million dollars he owed. On the day of the signing of the agreement, though, he showed up in Lžičař's law office and said he would not sign the contract because he did not have the money. The passports were not discussed any further. In September 2010, the Prague police dismissed the case saying that the alleged fraud could not be proven. Similar arguments were used by the Municipal Prosecutor's Office in Prague, to which Mr. Tao appealed and which in December 2010 rejected his appeal against the dismissal of the case. This article was made within the project “Regularization as One of the Tools for the Fight against Irregular Migration” which is financed by European Social Fund through Operational Programme Human Resources and Employment. Martina Křížková graduated from the Faculty of Social Sciences at the Charles University in Prague in the subject field of media studies. She coordinated a campaign in support of equal rights at the Multicultural Center Prague. At present she is working for the Czech Television.